I am a girl who likes a new toy, so when the Gift Bag Punch Board became available in the new Stampin’ Up! annual catalogue, I decided I had to have it. I do make gift bags using the Simplly Scored tool, but found that the Punch Board sped up the process, so that if you have quite a few to do, you can whizz through them in no time. 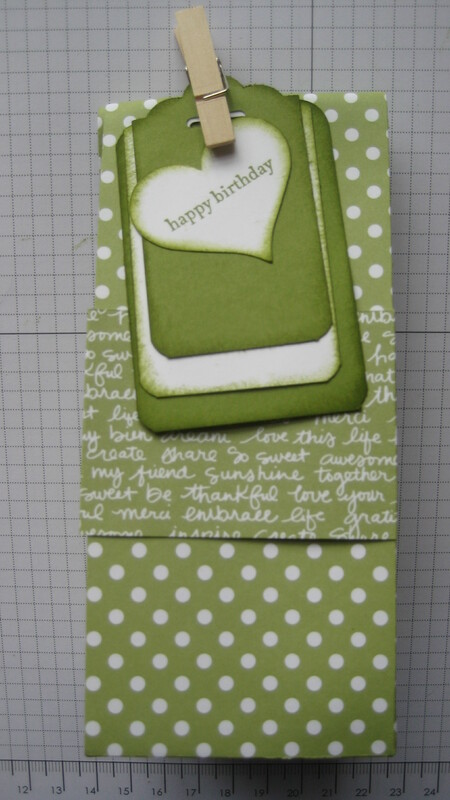 I have made the bags in card, in vellum and in Stampin’ Up! Designer Series Paper, and it works brilliantly with all of them. The bags would be perfect as wedding favours, bags for teacher’s gifts, children’s party gifts and frankly for anything for which you need pretty packaging. The Punch Board makes bags in three sizes – small, medium and large referring to the width of the bags. For the height, you are limited only by the size of the paper or cardstock you are using, and the reverse punch allows you to put holes in the bags for a ribbon handle. The finished product looks professional, and is lovely packaging for a special gift. While I remember, the Autumn/Winter Catalogue will go live very soon, so watch this space. I have had a sneak peek and someone needs to hide my bank card!